Legendary English star Jean Kent died at the age of 92 yesterday, 29 November 2013. Thursday she suffered injuries from a fall in her home and was taken to hospital. She died early Friday morning. Jean Kent was born on 29 June 1921 in Brixton, London. Her parents were variety performers Norman Field and Nina Norre. By the time she was 13 she was already appearing on the London stage at the Windmill Theatre in the West End. She mad her film debut under the name "Joan Kent" in the Lupino Lane comedy Who's Your Father in 1935. The late Thirties Miss Kent spent on the British stage. Under the name Jean Carr, she appeared in George Black's revue Applesauce! in 1940. Applesauce!, starring Max Miler and Vera Lynn, ran from August 1940 to November 1941. "Jean Carr" would eventually become "Jean Kent" and signed with Gainsborough Pictures. Her first film with Gainsborough was the comedy It's That Man Again in 1943, in which she had a small part. Over the next few years she appeared in the films Miss London Ltd. (1943), Warn That Man (1943), Soldier, Sailor (1944) , and Bees in Paradise (1944). She received her big break with the 1944 film Fanny by Gaslight. Although Miss Kent received only fifth billing in the film, her performance attracted attention and she was on her way to becoming a star of the British screen. Over the next several years she appeared in such films as Two Thousand Women (1944), Champagne Charlie (1944), Madonna of the Seven Moons (1945), The Wicked Lady (1945), and The Rake's Progress (1945). 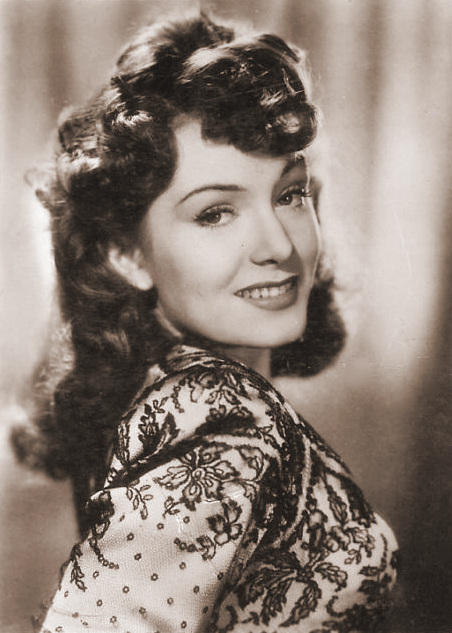 It was with Caravan in 1946 that Jean Kent first received top billing as an actress. For the rest of the Forties she appeared in The Magic Bow (1946), The Man Within (1947), The Loves of Joanna Godden (1947), Good-Time Girl (1948), Bond Street (1948), Sleeping Car to Trieste (1948), Trottie True (1949), The Reluctant Widow (1950), The Taming of Dorothy (1950), and The Woman in Question (1950). In 1951 Jean Kent starred in The Browning Version alongside Michael Redgrave. During the Fifties she would also appear in such films as The Lost Hours (1952), Before I Wake (1954), The Prince and the Showgirl (1957), Bonjour Tristesse (1958) , Grip of the Strangler (1958), Beyond This Place (1959), Bluebeards Ten Honeymoons (1960), and Please Turn Over (1960). She also began appearing regularly on television, guest starring on such series as BBC Sunday-Night Theatre, The Errol Flynn Theatre, Sword of Freedom, and ITV Television Playhouse. She starred as Lady Kerwin in the serial Epilogue to Capricorn. With the Sixties Miss Kent's career shifted more towards television. She was a regular on the TV series Sir Francis Drake, on which she appeared as Queen Elizabeth I. She also appeared on the series Emergency-Ward 10 in the role of Gillian Blane. She played the lead on the short lived comedy Thicker Than Water. She also guest starred on such shows as Maupassant, Love Story, The Indian Tales of Rudyard Kipling, No Hiding Place, This Man Craig, Vanity Fair, Comedy Playhouse, Detective, The Wednesday Play, ITV Playhouse, Up Pompeii, and Steptoe and Son. In the Seventies she guest starred on such shows as Doctor at Large, Frankie Howard's Hour, A Family at War, Public Eye, Angels, and Do You Remember. She was a regular on the serial Tycoon. She also appeared in the film Shout at the Devil (1976). In the Eighties she appeared on the shows Crossroads, Lytton's Diary, and After Henry. In the Nineties she appeared on the shows Lovejoy and Shrinks. Jean Kent was one of the most beloved leading ladies of British cinema, and there can be no doubt that she was a true film star. At the same time, however, while she is not often considered such, Miss Kent was one of the best character actresses to ever appear on movie screens, British or American. The simple fact is that she could play nearly anything. In Good Time Girl she convincingly played a teenage runaway, even though she was already in her late Twenties. She played the unfaithful wife of Andrew Crocker-Harris (Michael Redgrave) in The Browning Version. In Trottie True she played something close to her own life as a young actress. Like Miss Kent, Trottie was a music hall performer. The simple fact is that Jean Kent was something of a chameleon. Indeed, if anyone doubts the enormous talent possessed by Jean Kent, they would find that doubt wiped away by a single viewing of The Woman in Question. In the film police interview various witnesses, all of whom have different views of a murdered woman (played by Jean Kent). Her sister saw her as a common trollop. Her housekeeper saw her as a genuine lady. An elderly bird shop owner saw her as a charming young woman. Jean Kent did an extraordinary job of playing the various facets of the murder victim, giving some consistency to what are often dramatically different views of the same woman. It was a bravura performance that truly deserved a BAFTA nomination. Of course, The Woman in Question was only one in a number of Jean Kent's great performances. She was an extraordinary actress with a versatility that was rare in her time and is now even rarer still. It has been a busy day for me, so I don't have time for a full blog post. I'll then leave you with a song, "Teenage Kicks" by The Undertones. "Teenage Kicks" was the very first single released by The Undertones. Upon its initial release in 1978 it made it all the way to #31 on the United Kingdom's single chart. Amazingly, "Teenage Kicks" did not chart in the United States, although it has since come to be regarded as something of a classic among power pop and pop punk fans. The song has been covered by such major artists as Buzzcocks, Franz Ferdinand, Supergrass, The Raconteurs, and Snow Patrol. Teenage Kicks also serves as a fight song for Derry F.C. (not surprising given The Undertones were from Derry, County Londonderry, Northern Ireland). Without further ado, here is "Teenage Kicks" by The Undertones. I just wanted to wish my fellow Americans a happy Thanksgiving and to celebrate here are a few classic Thanksgiving pinups for you. First up is Barbara Eden, who seems a little confused as to whether it's Thanksgiving or Halloween. Here is Word War II era model Dusty Andeson and a rather large friend. Marilyn Monroe appears to be taking a rest from hunting turkey. 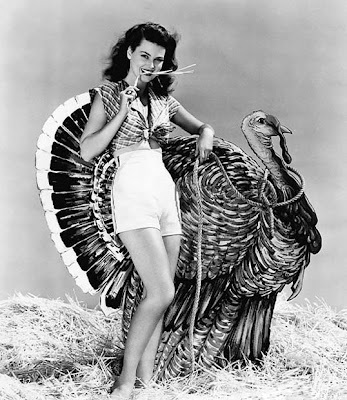 Esther Williams is continuing to hunt Turkey without much luck! Angela Greene has given up hunting turkey to make friends with him! Dancer Virginia Gibson doesn't bother hunting turkey, as she found one large enough to use as a horse! When it comes to holidays celebrated in the United States, it seems as if Thanksgiving gets short shrift when it comes to movies. There are literally hundreds of Yuletide films. Not only are there plenty of films set around Halloween, but there is even a classic horror film named for the holiday (John Carpenter's Halloween from 1978). When it comes to Thanksgiving, however, I doubt many people can name any films associated with the holiday beyond Planes, Trains, and Automobiles (1987). Here then are three films that are associated with the holiday. Plymouth Adventure (1952): Contrary to popular belief the first Thanksgiving in the United States was not held by the Pilgrims at Plymouth, Massachusetts Colony (see my post on the subject from a few years back). That having been said, the Pilgrims did hold a well known Thanksgiving feast in 1621 that has figured largely in the celebration of the holiday since it became an official Federal holiday 1863. That being the case, for many the perfect Thanksgiving may be Plymouth Adventure. Plymouth Adventure is a fictional retelling of the Pilgrims' trip England to Massachusetts Colony aboard the Mayflower. 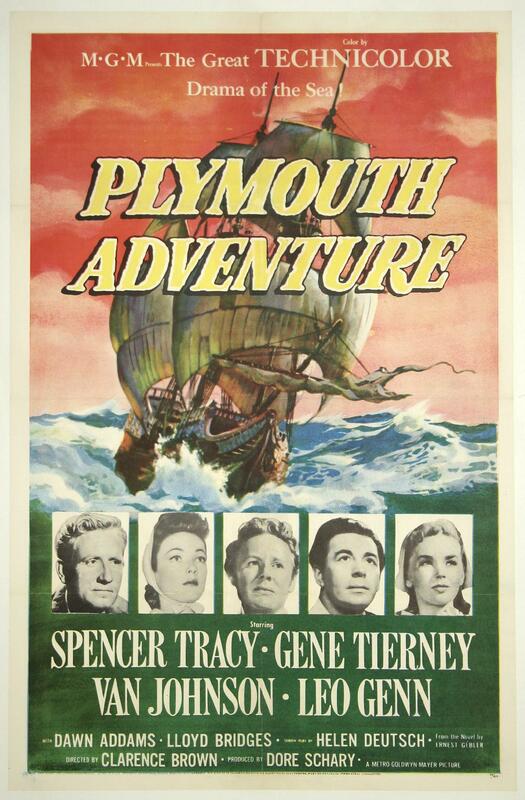 The film boasts an all star cast, including Spencer Tracey (as Mayflower captain Christopher Jones), Gene Tierney (as Dorothy Bradford), Van Johnson (as John Alden), Dawn Addams (as Priscilla Mullins), and even a young Lloyd Bridges (as First Mate Coppin). Despite its subject matter, one should not expect historical accuracy from Plymouth Adventure. It is the sort of historical spectacle so popular in the Fifties, essentially a costume drama set at sea. As might be expected it is highly romanticised and departs a good deal from history, but it does offer some very good performances as well as a good deal of entertainment. 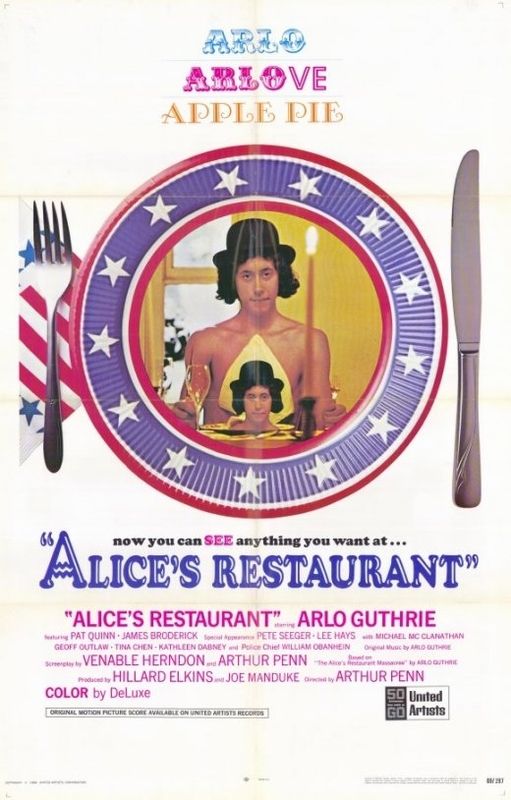 Alice's Restaurant (1969): Arlo Guthrie's 1967 musical narrative "Alice's Restaurant Massacree" is based on an actual Thanksgiving from Mr. Guthrie's life, although naturally he exaggerated things for humour. At 18 minutes and 34 seconds long it could hardly be released as a single, although it proved very popular and would become a bit of a Thanksgiving tradition for many FM radio stations. In 1969 the song was adapted as a major motion picture starting Arlo Guthrie as himself. While "Alice's Restaurant Massacree" was based on actual events, Alice's Restaurant is largely a work of fiction by screenwriters Venable Herndon and Arthur Penn. It largely works as a an examination of the lives, loves, and major events of a group of friends. Of course, the centrepiece of the film is Thanksgiving, at which point the film is fairly loyal to the song. While not to everyone's tastes, Alice's Restaurant is probably closer in spirit to the holiday of Thanksgiving than some of the comedies that have been set around the holiday. 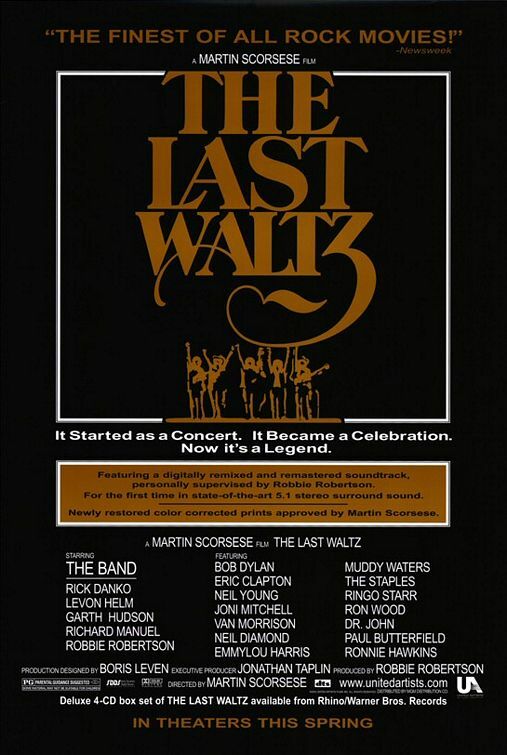 The Last Waltz (1978): The Band's farewell concert was held on 25 November 1976, Thanksgiving Day, at Winterland Ballroom in San Francisco. Martin Scorsese directed the documentary which recorded the event. It has since come to be regarded as one of the greatest concert films of all time. As might be expected The Band performs most of their hits, including the classics "The Night They Drove Old Dixie Down" and "The Weight". Both the concert and the film featured a number of guest performers, including Ronnie Hawkins, Muddy Waters, Neil Young, Van Morrison, Bob Dylan, and many others. If one's tastes run to classic rock, The Last Waltz is the film for you. 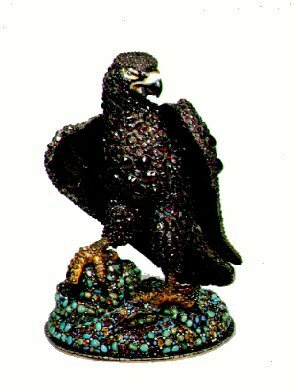 Yesterday one of two statuettes of the Maltese Falcon made for the 1941 film of the same name, and the only one to actually appear in the film, sold for $4,085,000 at Bonhams. Described in the film by detective Sam Spade (played by Humphrey Bogart) as the "stuff that dreams are made of," it has certainly proven to be that. It is one of the most expensive movie props of all time, more expensive than Dorothy's ruby slippers from The Wizard of Oz (which sold at auction for $4.1 million in 2012). Of course, the 1941 film The Maltese Falcon, as well as the previous version from 1931 and the 1936 film Satan Met a Lady (in which the famous bird is replaced by a rather mundane ram's horn filled with jewels), was based on Dashiell Hammett's 1930 novel The Maltese Falcon. What many do not realise that in writing The Maltese Falcon Dashiell Hammett may have taken his inspiration from real life. Part of that inspiration came from the Tribute of the Maltese Falcon, a yearly tribute the Knights Hospitaller made to the Holy Roman Emperor Charles V. The tribute consisted of one falcon (an living bird instead of a statue) given to the Emperor each year on All Saints Day in return for the grant of Tripoli, Malta and Gozo to the Knights Hospitaller. 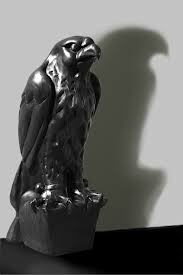 It is from the Tribute of the Maltese Falcon that Mr. Hammett took the name of both the novel and the priceless statuette. The other part of Mr. Hammett's inspiration for the Maltese Falcon may have come from an actual, priceless figure of a bird dating to the 17th century. The Kniphausen Hawk is a ceremonial drinking vessel made for George William von Kniphausen, Count of the Holy Roman Empire in 1697. It portrays a hawk standing atop a rock. It is covered in a large number of jewels, including amethysts, emeralds, red garnets, and blue sapphires and stands nearly one foot in height. In 1819 it was purchased by William Cavendish, 6th Duke of Devonshire in 1819. The Kniphausen Hawk is still in possession of the Cavendish family, and is currently on display at their house Chatsworth. Regardless of the real life inspiration for the novel The Maltese Falcon, both it and the 1941 film based upon it would prove very influential. The novel proved to be a pivotal work of hard boiled detective fiction, and would have a lasting influence on the genre. The 1941 film would also prove extremely influential. While it is debatable whether The Maltese Falcon can be considered film noir, it was certainly one of the films that would lead to the genre's development and that would have lasting impact upon it. It would seem that both the novel and the 1941 film would prove to be "the stuff that dreams are made of."